So week one has long been over and the memes have begun, as well as the injuries and all the other drama in football world! Ray Rice released from the Ravens due to domestic violence charges! Adrian Peterson in trouble with the law for how he disciplined his son. It has been insane! 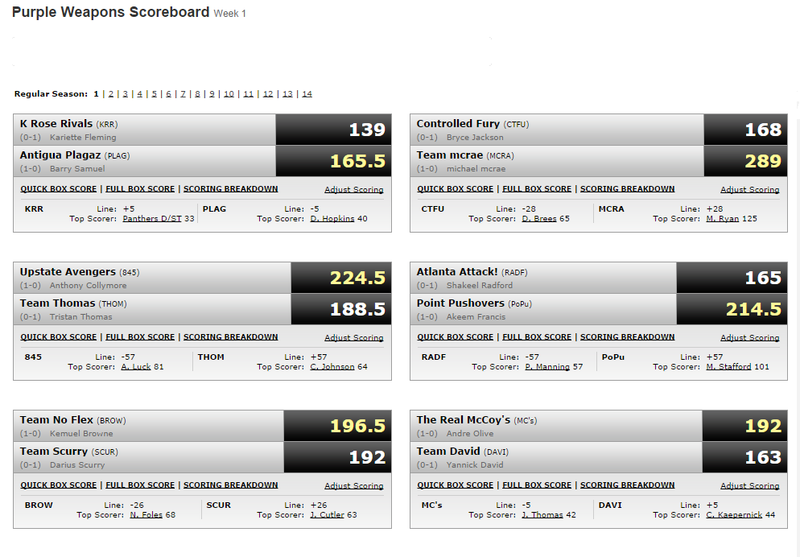 But here are the results from last week’s match ups. 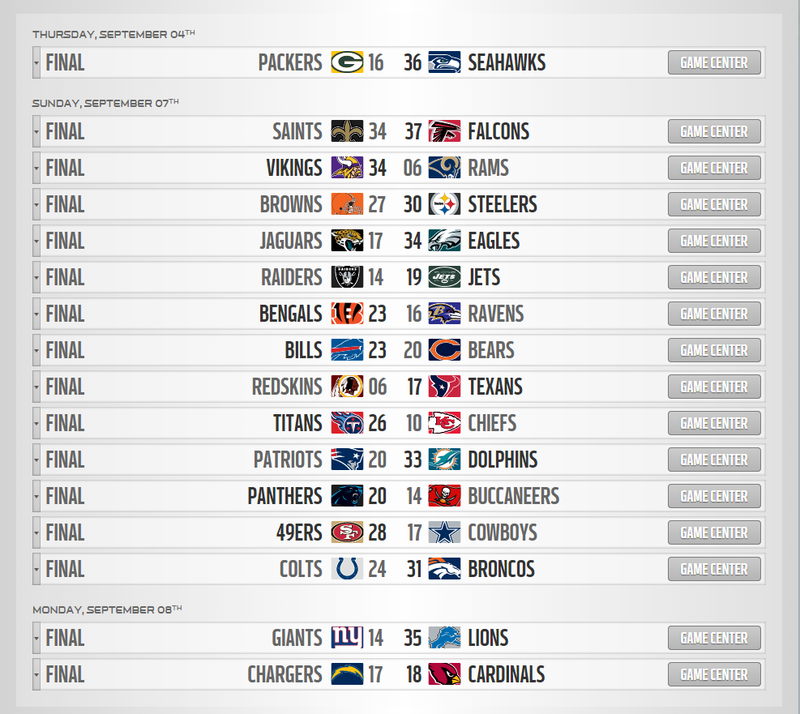 Week One was a good week I must say; my team lost but it’s football and it’s back. This empty void has now been filled. Here are some links to all the football drama I will not address this week, simply because well I believe the full stories have not been told.